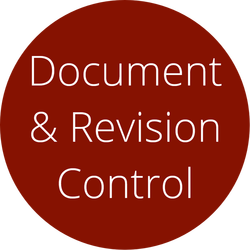 Document Control provides the tracking and management of revision history of Test request records and its procedures & related documentation. This can include the history of developing new test hardware or software platform as well as all required traceable documents through the test cycle. Depending on the test status various roles in the application will be authorized to perform revisions to the test request. Changes to each attribute of the test request are captured across revisions for traceability. Typical sequence to perform revisions will include locking, revising and checking in of the test request. For medical device companies, this module satisfies the document history file demands of the FDA. For military and aerospace calibration or FDA Quality ISO standards, the module provides the necessary tracking and reporting for ISO 17025 or 13485.